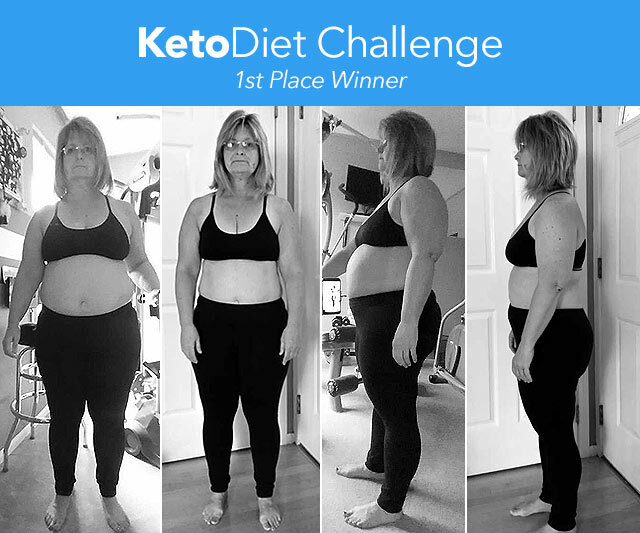 Congratulations to over 5000 participants of the 60-Day KetoDiet Challenge. Well done to all of you that took part! Picking only 3 winners wasn&apos;t easy at all! Actually, we&apos;ve been so impressed with the results that we added bonus prizes for 12 more participants who won one of my cookbooks: KetoDiet Cookbook or Fat Bombs Book. As always, when picking winners, we consider more than just weight loss. We look at the overall accomplishment and commitment to healthy eating. Remember, KetoDiet is not just about losing weight at any cost; it&apos;s about adopting a healthier lifestyle. Before I share the three winning entries, I&apos;d like to give you an update on what&apos;s coming next. The next challenge will start soon. We&apos;re currently in the process of going through your feedback and making improvements to the KetoDiet Challenges. There will be a secret Facebook group specifically for the KetoDiet Challenges. Only those who take part in our challenge will have access to it. They will be able to share their progress and post questions they may have. Don&apos;t miss out! 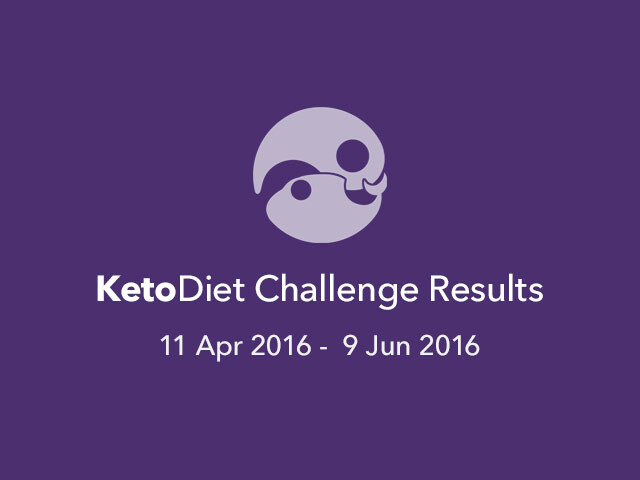 You can now sign up for the KetoDiet Challenge and get notified as soon as the next challenge is announced! All KetoDiet Challenges are - and will remain FREE. I joined the KetoDiet Challenge as a life style change, and to finally turn my health around. 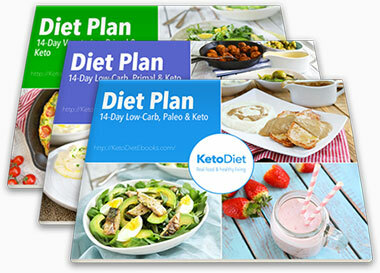 I have tried low carb diets for the past 15 years and have lost and regained the weight several times. The difference this time is... it is time for me to gain control of my health and make a life style change as I know with my health issues nothing else will work. When I was six, I was diagnosed with epilepsy. At that time it was treated with drugs, as it was the 60&apos;s. I can&apos;t believe with all I read it could have been treated with a change in diet. Fast forward, 30 years, after being a low fat diet and exercising 6 days a week, I was rapidly gaining weight. At that point I was diagnosed with PCOS. The insulin resistance was really high and I was put on the highest dose of metformin to control the over production of insulin. At 40 I was told I had metabolic syndrome as well. Finally I hit 50, and now started to deal with menopause. I decided that I would go off the metformin as I really wanted to get off the pills. There had to be an alternative. A year and a half passed and I continued to put on weight and for the first time in my life was now over 200 lbs. I could&apos;t bend over and touch my toes. My back started to hurt and I was uncomfortable most of the time. I was not sleeping well, and started drinking way too much. So after additional research, I found your challenge and put a line in the sand, and told my self it was time to take control of my health. I took my before pictures with a selfie stick and when I saw them... I could not believe how large I was. Brought tears to my eyes. A really brutal reality check. I have made a life change. I have lost 20+ lbs and believe me it does not come off easily. But the other health benefits are amazing. I don&apos;t feeling like my skin is crawling, no hot flashes, no indigestion and stomach aches, no mood swings and what is also great is I sleep through the night. I have more energy than I have had in years. What truly is different this time is getting rid of all the processed food, the chemical low carb products, the artificial sugar and cooking with and eating real food. I use the keto diet app daily. It has been a critical tool for me and I will continue to use it as I move forward with this new life style post the challenge. This challenge gave me a beginning. Weight loss for health reasons. What helped me stay on track? The keto diet app was a very valuable tool for staying on track. I was able to add what I was eating on a daily basis and track specifically cabs, protein and fat. Being a person that thrives off data, it was great to see the nutritional breakdown and the graphs were motivating because you can see the progress you are making. Everyday I also would read more about the ketogenic diet and add additional recipes to the app. I like the feature of adding recipes from the blog as well. The KetoDiet app is turning into my cookbook. The Keto Challenge was the line in the sand for me. When decided to sign up, I was putting it out there and making a real commitment to do this. More than just saying I was going to do it. 60 days is along time when you start but it flew by. I have lost weight, 23 lbs. it was the first time when I consistently lost weight without doing the weight yo-yo. But the what is so amazing in the increase in energy, sleeping through the night, and loving the food I eat. Everything I cook just tastes awesome. There is nothing processed. All is fresh. I am going to continue on from here and keep using this app and living this way. Next step is to start to add in some exercise since I can now move around. I love the fat bombs and the variety of recipes that comes from the blog. It is so easy to add the recipes to the keto app and have them all in one place. You don&apos;t have to go searching for them. KetoDiet note: Tracking and planning and adding recipes from my blog are iPad only features. We&apos;ve been working on bringing these features to the iPhone and Android devices. You can read more about our apps in this post. My name is Ashlee. I am married and we have an 8 year old daughter. I work full time at a bank, and am a part time photographer. I have done keto in the past and have had amazing results. Unfortunately, I always fall back into bad habits. Well this time, I was diagnosed with PFPS. Which basically means that my knee cap and my knee joint are rubbing together. Causing a lot of pain. The treatment? Exercise and strengthen my quads and hamstrings. So I decided that now was the time to change my lifestyle forever. On keto, going strong for just over a month now. Going to the gym 5 days a week, HIIT classes, walking/running after work. I feel great and have no intention of stopping this time! During this challenge I have gotten myself into a routine. With my new energy, I was able to get myself into a great routine! I have been on a ketogenic diet since March 8th. I have lost a total of 24.6 pounds and 9 inches in my waist. I feel so much energy, am able to keep up with my 8 year old daughter and keep up with the house work! The energy, plus my knees finally starting to feel better has definitely kept me on track. I am able to do many more exercises at the gym that I was never able to before. So my leg muscles are strengthening. All of this made it very easy to stay on track! The KetoDiet Challenge has helped me achieve my goals because of all of the support in the KetoDiet group on Facebook. Seeing everyone achieve goals, and get so many compliments and such great support from other people made me really want to continue with this challenge! I retired from the US Air Force in 2012 at 180 pounds. I had been an avid runner and stayed active, but by Jun 2015, I weighed 260 lbs! I had a poor diet, hurt all over, and never had any energy. Four years into "retirement" and I didn&apos;t have the energy to get out and do all the things I&apos;d thought I would be doing: traveling, hiking, fishing, enjoying the outdoor lifestyle, etc. I developed health issues such as high cholesterol and Non-Alcoholic Fatty Liver Disease. Something had to change. My wife had been asking me to start a LCHF diet with her. Although initially resistant, I began researching LCHF, and we both embraced a complete change to our way of eating in Jan 2016. I had lost some weight (20 lbs) through traditional dieting between June and December 2015, but still had late night cravings and difficulties controlling my appetite. After experimenting with different carb levels, I finally determined that 30 g net carbs was about right for me and the fat began to come off. 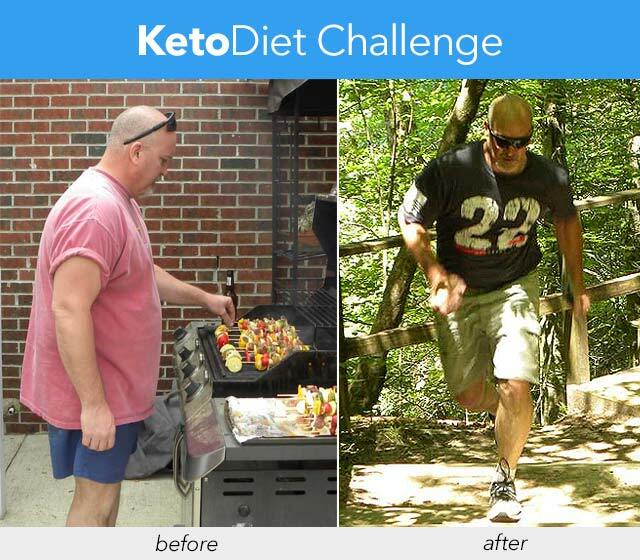 The KetoDiet Challenge is a way for me to remain focused on my goal of: Naturally reducing body fat and keeping it off to live a healthier and longer life filled with the activities that I enjoy. As a way to help me remain focused on fat loss to improve overall health and reverse the effects of Fatty Liver Disease. I want to lose fat, reach a weight of 180 pounds, and achieve an 18% body fat percentage. 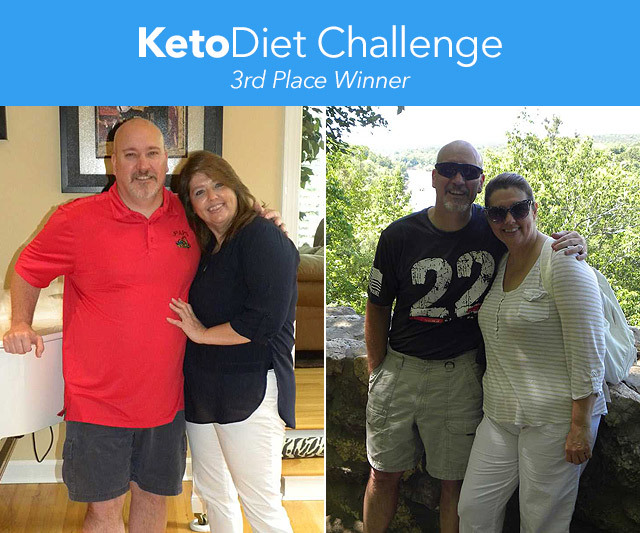 The support and encouragement of my wife, the satisfaction of seeing the weight (fat) come off as I adhered to the LCHF principles, the Keto Diet Calculator, and the great articles on the Keto Diet Blog! It has helped me become more attuned to how my body reacts to different levels of carb intake and stay focused on my goal. 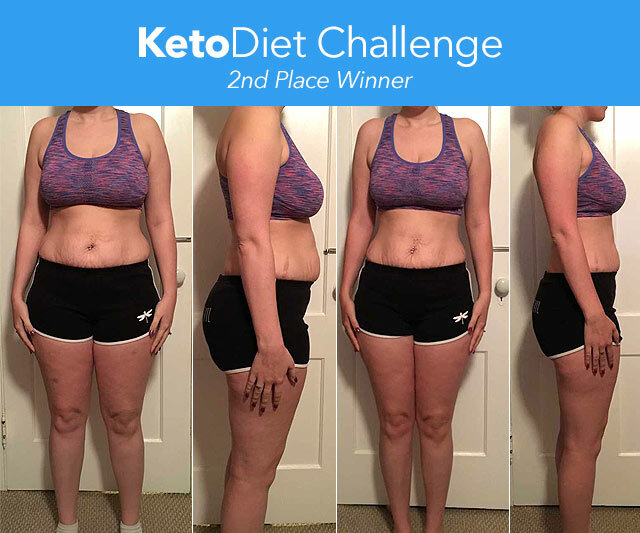 The diet & nutrition articles on the Keto Diet Blog helped me learn more about the Keto Diet (KetoDiet note: click here to learn more about the ketogenic diet) and fine tune my diet and exercise) to achieve the results I wanted. In 60 days I&apos;ve lost 20 pounds, 4% body fat, and exceed my weight loss goal. I&apos;ve achieved a weight of 176 pounds... losing a total of 84 pounds, 7% body fat, and 8 inches off my waist since June 2015. I&apos;m outdoors all the time engaged in the activities I enjoy with no pain and plenty of energy! Additionally, my Liver Function is now normal! Do you have any more tips for our readers? The information on your Keto Diet blog introduced me to LCHF principles and led to me other sources of information. The LCHF, Keto, Paleo, and Primal knowledge gained through self-study helped me understand that every person&apos;s fat loss journey is different, but with commitment and adherence to the principles, the results are generally the same... amazing fat loss and a healthier lifestyle for a life time! My personal journey started with clean eating, but quickly expanded to include Primal concepts like: Moving slowly often (4 X weekly walks with my wife), lifting heavy things (3 X weekly resistance training), Sprinting occasionally (1-2 X weekly runs), and Playing (kayaking, hiking with friends, relaxing in the back yard). I&apos;ve come to realize that healthy living is not "work" and these activities don&apos;t have to be a chore. I plan for and look forward to all of these activities now that I can physically do them and enjoy them again. This is not a diet...it&apos;s how I choose to eat and live for the rest of my life. The keto challenge helped me focus on and practice all that I had learned through your blog, and other sites, until it became a habit and then a lifestyle. On previous "diets", I always returned to my previous way of eating, and of course, the weight piled back on! By the time the challenge ended, the way of eating and fitness habits had become my lifestyle... not just another diet. So much so, that I&apos;m now down another 6 pounds, putting me 10 pounds under my goal of 180 pounds! The best part is that the muscle sparing effects of ketogenic diets and the resistance training have ensured that I&apos;ve not only maintained, but actually built additional lean muscle mass. Now, at 48 years old, I look better, feel better, and move better than I did in high school. My journey, and the results, have been an empowering experience. It has also inspired several close friends to embark on their own fat loss journey. Now, we can share a longer, more physically active, healthier life together. Thank you for helping me and others to keto on! I need to do this I have recently had a full hysterectomy. Survived cancer twice and they th thought it was back howevreall turned out well thank God. I'm so impressed at the winners!!! Robin looks like she's taken off more than 23 lbs for sure! Chris! Amazing! Hope his wife is joining him! Their stories of increased health and decreased issues is inspiring! Way to go! And what generous gifts! Well done on your diet journey! I've struggled for 4 years myself trying to get down to a size that I'm happy with and It doesn't help with all of the misinformation that's scattered all over the internet about what's healthy and what's not. I've been loosing weight quickly on a ketogenic diet, but always seem to cave in after reaching my desired weight and put it all back on, I think it's just hard to keep consistent with it. Anyway, Thanks for your stories, it's really inspired me! to keep it up! I absolutely love this way of eating and the challenge is just what I need right now! I reached a weight loss plateau two months ago and then I found your blog. I started losing again but it's slow. Can't wait for the next challenge... count me in  Oh and congratulations to the winners!!! Have been on low carb diet the last few years & have moved on to keto the last 8 weeks. Can be difficut when eating out. So congratulation to everyone who keeps up to it. It makes us much stronger people, we can be so proud of ourselves! Congratulations to the winners! I'm definitely joining the next challenge, it will help me stay on track! Fantastic results! Congratulations and well done!